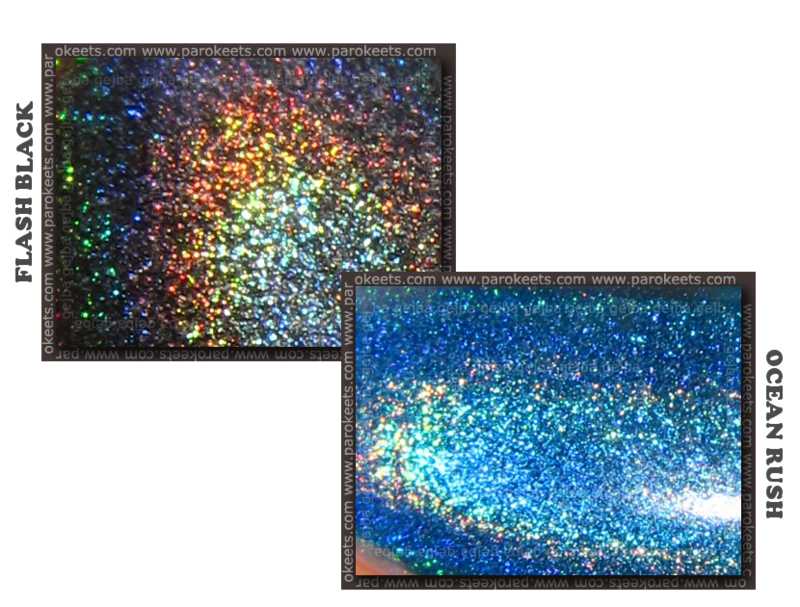 There were two pretty holographic nail polishes in the pile of goodies Maestra brought me from USA. 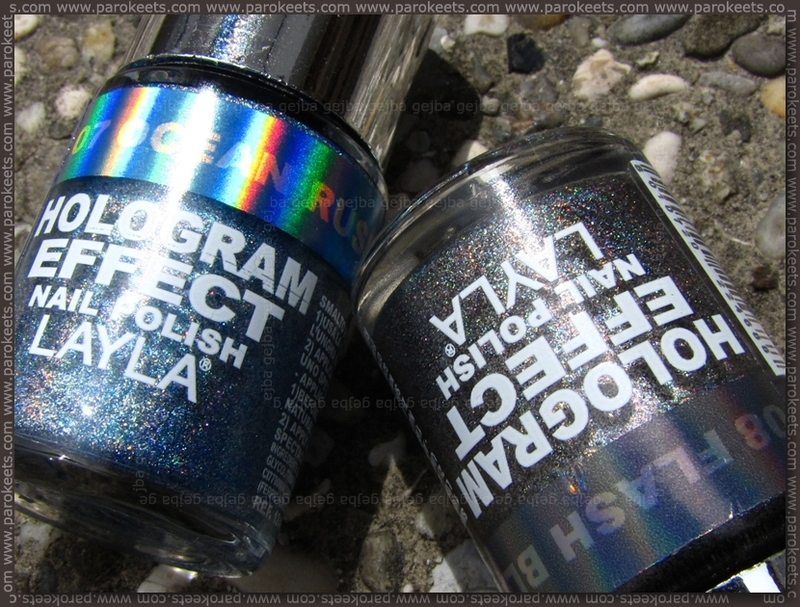 Both shades are part of Layla Hologram Effect line – Ocean Rush and Flash Black. They’re not that much to look at at the bottle, but are absolutely amazing in sunlight. Flash Black was little bit harder to apply than Ocean Rush – not sure why as the texture looks the same. I used Jessica Retro Revival (water based base coat) as a base. … and lighter gray in artificial light. I used two coats, with third added on the pinky … I had some bold spots there. Layla Ocean Rush went on without any kind of problem over the same base. I have only one word for you … magnificent. 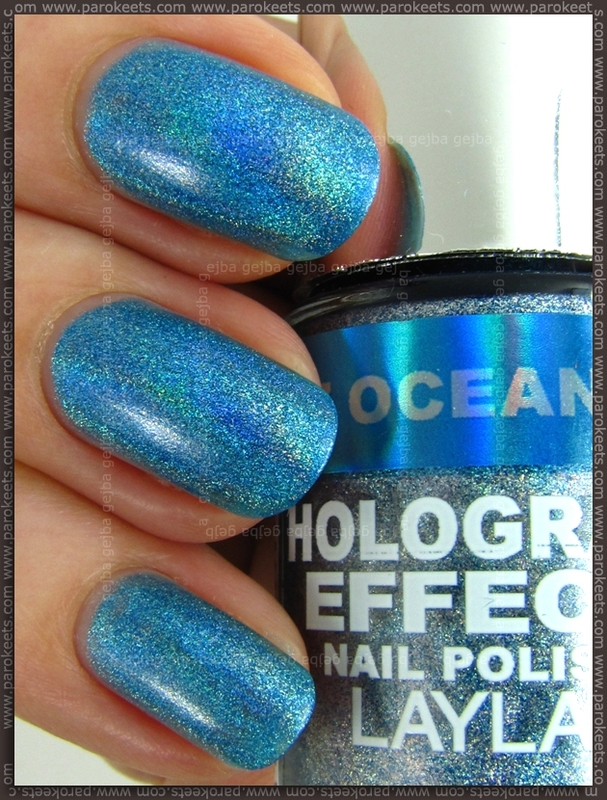 Just look at that gorgeous holo effect in the sun. And as bonus, color looks nice under artificial lighting too. 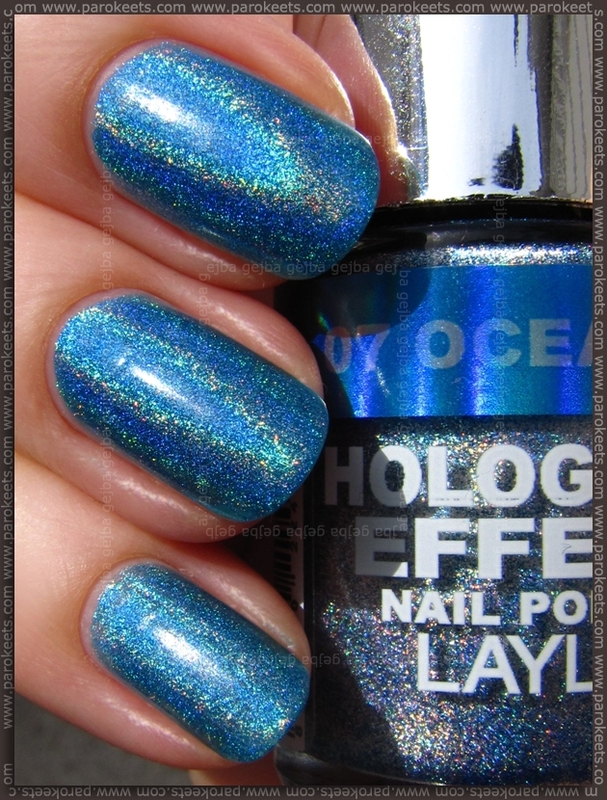 For all of those who wish to drool some more – details from both nail polishes. Aren’t they amazing? I just smiled a bit that Maestra bought them in the US!